In this early transmission Bashar discusses the evolution of his civilization and their connection to modern humans, their ancient ancestors. The Sassani derive from us, and they live in an enlightened society. That’s how we can know for sure that there are better versions available for us to choose, no matter how circumstances may look. 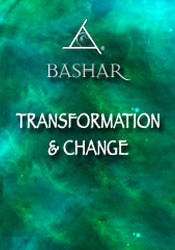 In Transformation and Change Bashar shares the insights that his people have from their evolved perspective in our future, what they’ve learned, and what works for them in maintaining a loving and balanced community. He discusses the cultural taboos surrounding transformation and change, the stigma around the number 13, and how the 13 vibration can be used to receive higher-level wisdom and support.